The Ohio State University Department of Evolution, Ecology, and Organismal Biology (EEOB) centers on wide-ranging studies of animals, plants, and microbes and their relationships with each other, their environments, and their common ancestry. Faculty are leaders in their fields with research of global importance, exploring what makes nature tick from individual genes to entire ecosystems, measuring time from minutes to millennia. Aquatic Ecology Laboratory (AEL) - Promotes conservation and advances understanding of population, community, and ecosystem structure and dynamics in aquatic systems; a long history of research-based applications to fisheries science. Central Ohio seems an unlikely place to find a dynamic research team working on sea anemones and other marine life. But Associate Professor Meg Daly and her students do just that. The global span of Daly’s active field program is staggering. 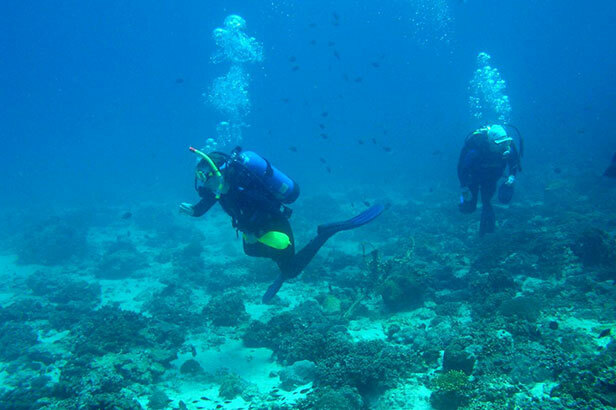 Team members travel to dive and collect off the coasts of Chile, Argentina, Japan, Ireland, Australia, New Zealand, South Africa, and the Philippines. Back in the lab, they employ both molecular and morphological data to solve pieces of the evolutionary puzzle. Associate Professor Roman Lanno looks at ways to determine the bioavailability of chemicals in the environment, particularly in soil systems, which helps in developing environmental quality guidelines, cleanup policy, and ecological risk assessment. Lanno incorporates current environmental events into his teaching, such as a course using the Gulf Oil Spill as a Risk Assessment Case Study. Professor Allison Snow is a sought-after expert in risk assessment, pollination ecology, and gene flow from genetically-engineered crops via the dispersal of pollen and seeds. She was one of six scientists recently appointed to the USDA National Genetic Resources Advisory Council (NGRAC)—charged with preventing gene flow into collections of non-GM crops used for research and breeding. Snow frequently works with federal agencies on risk assessment and policy issues regarding transgenic crops, and has served on several international advisory panels. Distinguished University Professor and National Academy of Sciences Fellow David Denlinger has studied insects on virtually every continent, including Antarctica. One of the first to discover several insect hormones; he has built a significant body of research on the insect life-cycle, figuring out how to interrupt its key components, such as diapause, for better pest control. Assistant Professor Liza Comita studies patterns of diversity, dynamics, and species distributions in both pristine and human-altered ecosystems. Her research focuses on the ecology of tropical trees and how variation in regeneration dynamics maintains biodiversity and determines species composition. She combines extensive field studies with cutting-edge statistical techniques to produce novel insights into processes structuring diverse ecological communities. Professor H. Lisle Gibbs is a molecular ecologist who uses a combination of molecular genetic methods and field studies to address a broad range of questions about evolution and conservation in organisms as diverse as massasauga rattlesnakes and unisexual mole salamanders in Ohio to lancehead vipers in Brazil. He is also director of the Ohio Biodiversity Conservation Partnership whose goal is to channel the expertise and talents of a diverse group of researchers and students at Ohio State to provide knowledge for the conservation of wildlife diversity in the state of Ohio.